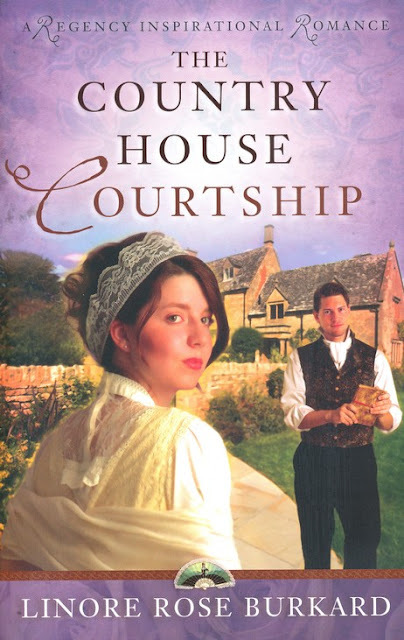 As the novel opens, the year is 1818 and Miss Beatrice Forsythe is determined to marry well. After all, her sister, Ariana, married The Paragon, Mr. Phillip Mornay, five years earlier--which all but guarantees that she, Beatrice, can also make a famous match to a wealthy man. I'm afraid I was disappointed in this book. I was prepared to like it, even if only for the reason that it continues the story of Ariana and Mr. Mornay. However, I was tempted to put it in the wastebasket. I didn't, because the book is well-written as far as period detail and landscape descriptions go. I also became a little fond of the character of Mr. O' Brien, he was so different from how he had been in the other books that I could not help but sympathize with him. He had changed, matured, and was seeking a second opportunity to prove himself. Haven't we all found ourselves in his shoes? Unfortunately, my sympathies with this book ended there. Beatrice was so impossibly immature, superficial and wordly. After one point, I stopped caring whether she would change or find happiness (the promise of a drastic change was always there but never realized). It made me even lose my good opinion of Mr. O' Brien to see him pursue her with so much candour. What kind of a man must he be if he wanted such a woman? Was it just because she was Ariana's sister? I fervently hope not! The presence of her other suitor is in the beginning a mere diversion but ends up being more of an unnecessary annoyance as really there is no competition between him and Mr. O' Brien. Ariana was also surprisingly shallow and wilful, since she had appeared to grow as a character in the previous books. I can't begin to understand how a woman would so openly encourage and defend her old lover, not caring whether she hurt her husband (and she did hurt him). Or how she could be so selfish and immature as to ask for her childrsn when suffering from a dangerous and highly contageous illness. As for her marriage with Mr. Mornay, that was the greatest let-down of all. I really don't know which author first discovered the ability of sequels to kill any love or romance that was there in a relationship. I am always anxious to read about the married life of a couple whose courtship I have 'watched' through a book, especially if I have rooted for the couple throughout their struggles. However, none of the devotion and inner connection between Mr. Mornay and Ariana will be found in this book. All they care about is who will carry their children in their arms (their grandmother, their aunt, a guest or they themselves?) and how to arrange their household better. I waited and waited for a look, a touch, a word of affection to pass between them. I waited in vain. Everyone around them seemed so impressed by their obvious and deep love for one another, but the reader was shown no sign of it whatsoever. When Ariana falls ill, I was somewhat hopefull of finally seeing some kind of affection from her husband. And although some of his spiritual thoughts during that trying time are the only words in this book that made me feel it was worth reading, still there is no connection between husband and wife. He nurses her, he doesn't leave her side, he worries about her life. But then, so does the doctor. I hope this review will not influence anyone's opinion of the two previous books, they are really worth reading over and over. Morevoer, here is a link to the author's webside where you can find interesting short stories and sign up for a newsletter. I enjoy it myself.